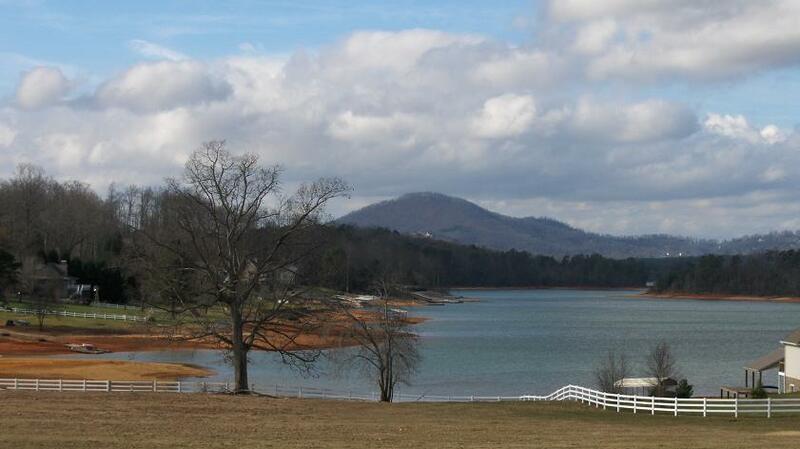 Lake Chatuge is a beautiful lake, filled with islands and surrounded by mountains. It is undoubtedly the most beautiful lake in the mountain area and it is no surprise it is called The Jewel of the Mountains. 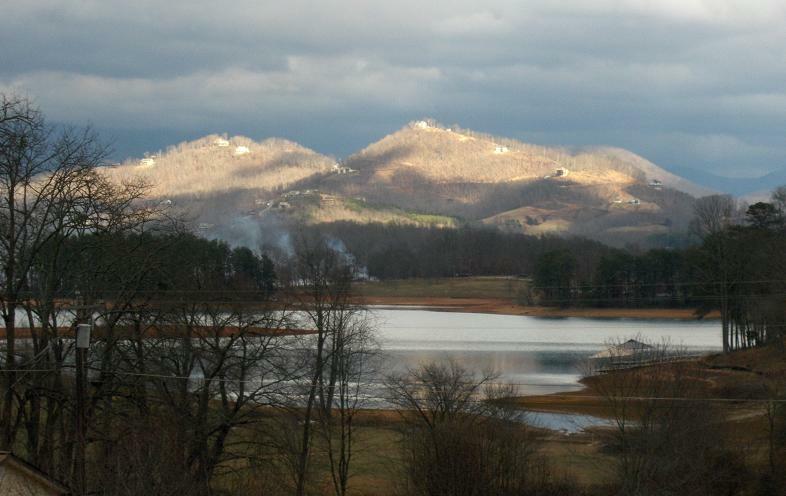 The lake was formed when the Hiawassee Dam was constructed and the basin filled. 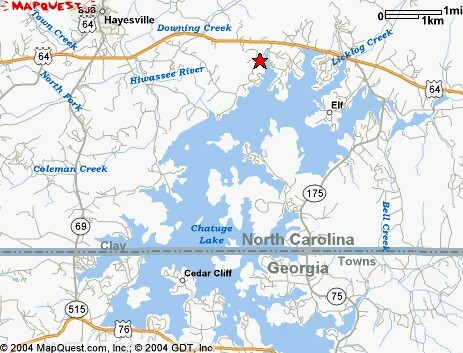 The lake is huge, bordering North Carolina and Georgia. And ... its only 10 minutes from Rushing Waters Cabin. Plus you 'll see it again and again from many vantage points as you work your way around the area during your vacation. Lake Chatuge offers all sorts of recreational opportunities. It has excellent fishing, including bass, crappies, blue gill, catfish, rainbow trout, speckled trout, walleye pike, some stocked annually. There are several marinas in the area that rent watercraft, from ski boats, to pontoons to jet skis. And there are picnic areas, public docks, public boat ramps, lakeview restaurants and other lakeside amenities to enjoy. 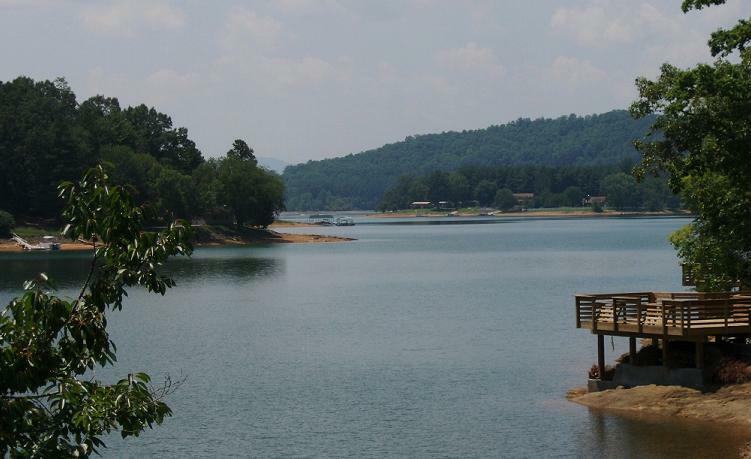 There is a picnic area and public boat ramp on Lake Chatuge on 64, just 10 minutes from Rushing Waters Cabin, plus we have room to park your boat at the cabin. SEE Nearby Attractions for more information.